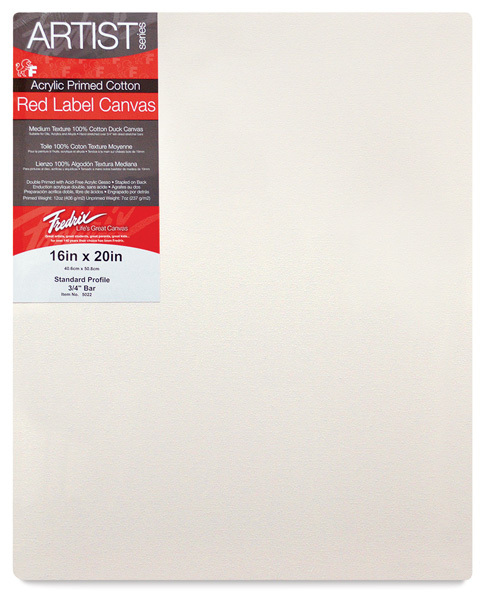 These canvases feature the finest quality pure cotton duck, medium textured, and double-primed with acid-free acrylic gesso for use with oil or acrylic painting. All sizes larger than 24" x 36" include single or double bracing for added support. 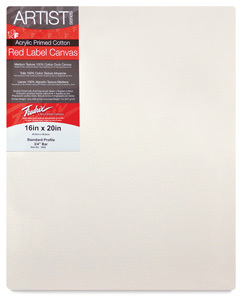 Canvases are carefully stapled on standard stretcher strips and have a ¾" profile. Note — Canvases smaller than 8" × 10" are stapled on the side of the canvas. All larger sizes are stapled on the back of the canvas.